3 rounds of golf with 3 night stay in condo. Price is based on 4 people in a 2 bedroom condo at Myrtlewood. The earlier you book, the more you save. Also, earlier in the spring tends to run cheaper, so playing in 60 degree weather instead of 80 degree weather can save you hundreds! Want to find your own lodging but still receive great deals on golf? Costs for a golf package without lodging are as follows. Dave is your personal ambassador to Myrtle Beach Golf Trips for this upcoming spring season. Call him at 866.694.2454 for the best pricing and savings on all Myrtle Beach courses! 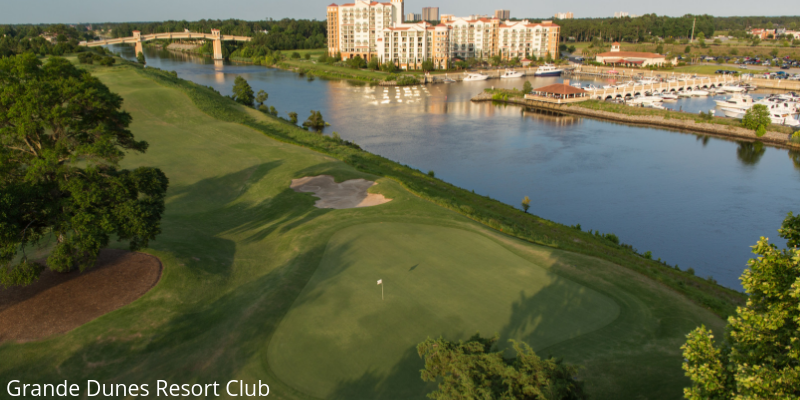 An additional spring golf deal is being offered in Myrtle Beach by the Founders Group International. Save $5.00 per round off their best single round pricing by playing 2 rounds or more! Mix and match from your choice of 22 Award-Winning Founders Group collection of courses along the Grand Strand. 2 Round pricing starting from $69 per golfer.